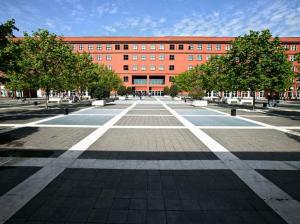 Elisabetta Lalumera is organising a Confabulation and Epistemic Innocence workshop at the University of Milano-Bicocca (image below), to be held in Milan (Italy) on May 28, 2018. Below you find a call for papers for the event. When people are unaware of information that accounts for some phenomenon, this does not necessarily prevent them from offering a sincere, but often inaccurate, explanation. Indeed, whilst confabulation has been shown to occur alongside psychiatric diagnoses featuring serious memory impairments, and in people undergoing symptoms of mental distress, it also occurs regularly in people with no such diagnoses or symptoms. Some cognitions which fail to accurately represent reality may nonetheless have redeeming features that promote good functioning in a variety of domains. Inaccurate cognitions may misrepresent the world, but can also bring psychological and practical benefits. More recently, philosophers have pointed out that epistemically costly cognitions can also sometimes have positive epistemic features. When these epistemic benefits are significant, and could not be attained in other ways, then the cognition can be considered “epistemically innocent”. The notion of epistemic innocence has already been discussed in the case of some inaccurate cognitions, such as delusions, but whether or not confabulation counts as epistemically innocent is a relatively underexplored issue. What are the epistemic costs of confabulation and are there any epistemic benefits? How should epistemic costs and potential benefits of confabulation be adjudicated? Are the potential epistemic benefits of confabulation related to, or independent of, any psychological benefits? Is providing an inaccurate answer or an inaccurate explanation better (and in what sense) than providing no answer or no explanation at all? Are the costs and benefits of clinical confabulation comparable to those of non-clinical confabulation? Please submit a 500-word paper by 28th February 2018. The short paper is supposed to sketch the main argument and include some reference to its conclusions and implications. Contributors will be informed by 30th March 2018 whether their short papers have been selected for presentation at the workshop. For the authors whose short papers are selected for presentation, there may also be an opportunity to submit a full paper (max. 8000 words) by 30th June 2018 for inclusion in a special issue of a journal on the philosophy of confabulation. Please submit your 500-word papers to Valeria Motta as an email attachment. The title should be CONFABULATION 2018 [SURNAME OF AUTHOR]. Identifying information such as the full name of the authors, their email addresses, and their affiliations should not appear in the attachment, but only in the body of the email. The attachment should contain a blind version of the short paper. Authors’ names, affiliation if applicable, and contact details will be accessed only by Valeria Motta who will assign reviewers, but will not be involved in reviewing submissions. Each paper will be independently reviewed by two experts. Contributions from members of groups underrepresented in philosophy are especially welcome. Please note that reasonable travel and subsistence expenses of the selected workshop contributors will be covered thanks to the support of the University of Milano-Bicocca and the sponsorship of project PERFECT. Also note that presentation of the selected papers at the workshop does not guarantee that the full papers will be accepted for publication in a special issue dedicated to the issue of confabulation, as the full papers will be subject to further, independent review and may be rejected at that stage. You may contact Elisabetta Lalumera for general inquiries about the workshop or the CFP.